The auto transport industry has a wide range of prices from hundreds of different companies that ship cars. This price drastically changes depending on the equipment used to transport the vehicle. 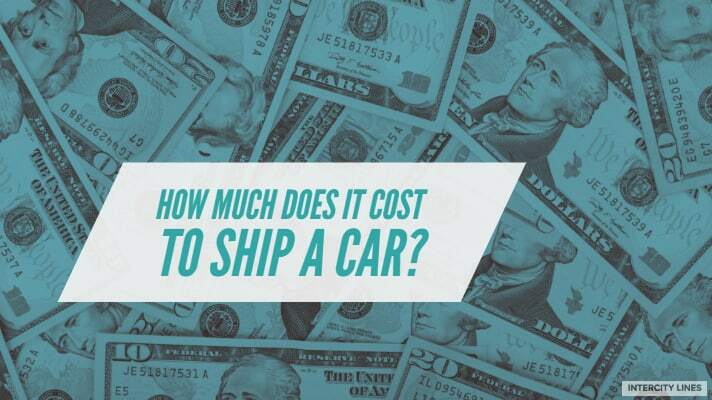 The amount charged reflects the cost of their equipment, the price of fuel needed to ship your car, and the quality of service you will receive. Shipping your car on a flatbed trailer is usually the cheapest, but is the riskiest in regards to your vehicle. Open trailers tend to be slightly more expensive and less of a risk than flatbeds. Enclosed trailers are usually more costly than flatbeds or open trailers, but typically provide a much higher level of security. A new enclosed transport rig can cost $500,000, which is why enclosed auto transport tends to be more costly than open auto transport. Enclosed auto transport companies also tend to have well trained and experienced drivers and state-of-the-art equipment, in contrast to the companies that use older equipment and have lower prices. At Intercity Lines, we never broker any of our shipments out. We have one of the best team of drivers and equipment, who solely drive for Intercity Lines, and handle all of our shipments. Therefore, you always know that you and your car is receiving the highest level of security and service. https://intercitylines.com/wp-content/uploads/2015/01/cost-to-ship-a-car.jpg 400 712 Intercity Lines https://intercitylines.com/wp-content/uploads/2016/07/intercity-lines-inc-enclosed-auto-transport.png Intercity Lines2015-01-15 15:59:592019-03-27 11:15:24How much does it cost to ship a car? That’s good to know that flatbeds are the cheapest option. That’s probably because trailers like that weigh less. A covered trailer might be better for people with valuable cars to move.